My students have gone on to . . .
Krista Aasland is Central Operations Administrator, Central Oregon Symphony Association; flute and piano instructor, Cascade Music School, Bend (OR). Leslie Matthews Baker is Band Director at George Washington Middle School in Putnam County (WV). Laura Menser Bielen, Music Director (bands and chorus) in Bermudian Springs, PA.
Stephanie Jayroe Bosch is Assistant Director of Bands at Acton Middle School in Granbury ISD (TX). Phil Bracken is music instructor at Ruth K. Broad Bay Harbor Center, flute instructor at Nova Southeastern University in Ft. Lauderdale, and Artistic Director, Arts at St. John's, Miami Beach. Emily Brandt is Band Director at the Applied Learning Academy, Fort Worth ISD. Rachel Butera, Director of Bands, Cherry Hill Middle School in Elkton, MD. ​Stephanie Colburn is the former Assistant Director of Bands, Clifton ISD, TX; currently working on on a PhD at Florida State University. Darbi Elliott Lamrani is the Music Teacher at Franklin Park Elementary in Fort Myers, FL. ​Ashley Fincher is Associate Band Director, Jackson Technology Center in Garland, TX. Kaylee Baker Flynt, Director of Bands, South Lyndhurst City Schools (Charles Brush High School), OH. Paige Brown Fremder plays piccolo with the Ceremonial Band of the United States Army Band Pershing's Own. Krystle Fryzel teaches in Layton, UT, as owner of Sweet Notes Music Studio. 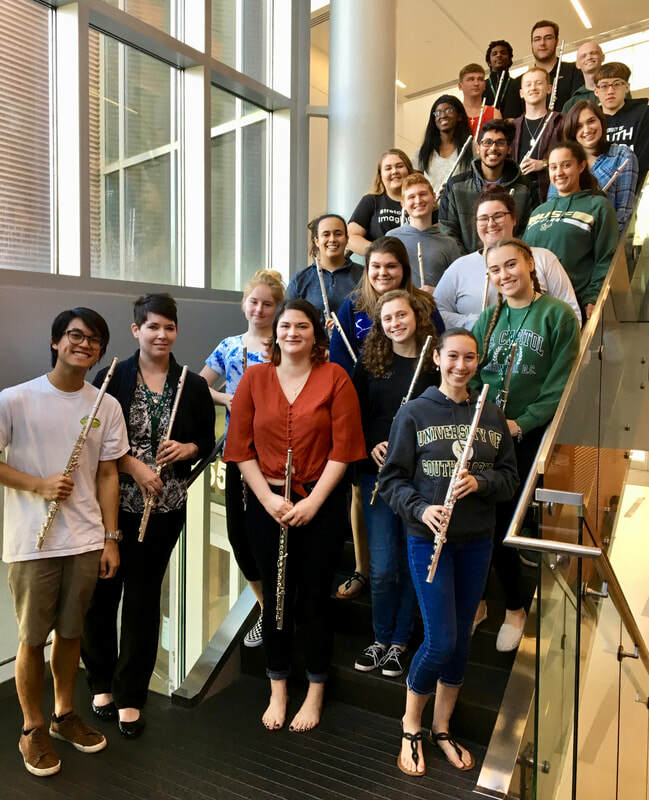 Elisa Gutierrez is a music teacher at The Music Loft; former music teacher at Hunters Woods Elementary School in Reston, VA.
Colleen Hillyer is a DMA candidate at Shenandoah University Conservatory with Jonathan Snowden. Anne-Marie Houy, is pursuing a PhD in Musicology at Arizona State University. Ally Montesinos Howell teaches 3rd grade in Nampa (ID). 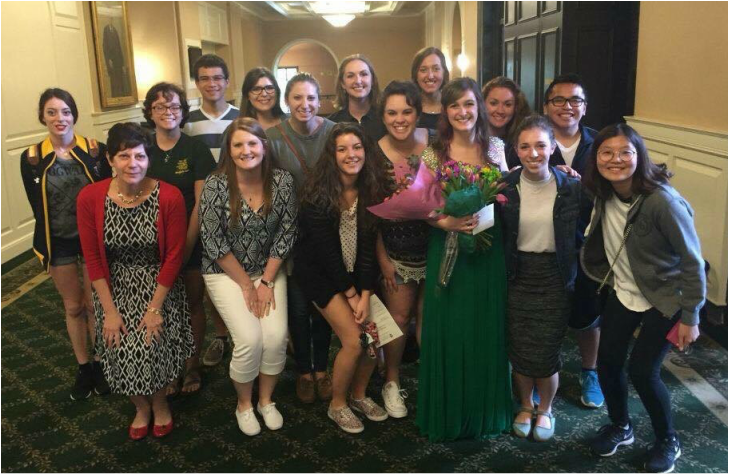 Gabrielle Jagen is completing graduate studies in Music Therapy at TWU (TX). Allison Jayroe Asthana studies at the University of Texas at Austin pursuing a DMA with Marianne Gedigian. Katie Kelley recently completed her graduate degree at McGill University in Montreal with Timothy Hutchins, Principal Flute of the Montreal Symphony. Catharine Ahls Klein is Band Director at Nick Kerr Middle School in Burleson (TX). Suzanne Jenkins Kiflawi is Music Teacher Bellevue Elementary, Hailey (ID), and Senior Airman in US National Guard Band. Alison Lampert is Assistant Director of Bands, Valley Mills ISD (TX). Jennifer Lanham is Music Instructor at Maurice L. Wolfe Elementary in Katy ISD (TX). Heather McGowan is Assistant Band Director at Ross Middle School in San Antonio. Ruthie Miltenberger is Manager of Family Programs, Atlanta Symphony Orchestra. Pam Murchison is Director of Development, West Virginia Symphony, where she plays Piccolo/Flute III. Wendy Penco Protz, Music Teacher, Poplar Creek Elementary in New Berlin, WI. Jennifer Hill Ofstein, Music Instructor, Greenville Elementary School, Stafford, VA.
John Ross is a former Instructor of Music Theory and Flute, West Virginia State University, currently pursuing a DMA at Florida State University. Sarah Saenz is the Education Coordinator for the Boston Symphony. 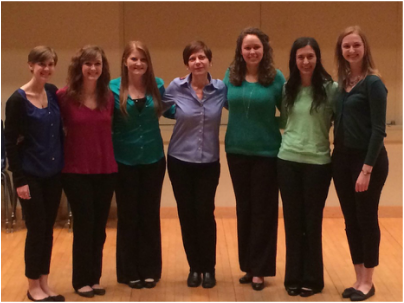 Saesha Senger is pursuing a PhD in Musicology at the University of Kentucky. Elyse Senteney is Assistant Band Director at Jasper High School, Plano ISD (TX), and teaches flute at the Dallas School. Shelly Borgert Sgroi is a former MU3 for US Navy Band Northwest; former flute representative, Burkart Flutes of Boston. Jillian Storey is flutist of Coloratura Winds (2016 MTNA Alternate, South Central Division), just completed year 2 of Trevor Wye's The Studio in Kent, UK, 2016; currently pursuing a DMA at UNC-Greensboro. Venerson Villanueva is band director at St. Louis Catholic School, Waco. Christina Wilson is a yoga and Thai yoga/bodywork instructor. Christina Yarnot is Band/Orchestra Director in Nampa (ID).